When the Turcom SeaShell first arrived in the mail, I was like, What in the world is this? I thought I was reviewing an outdoor speaker, not a water bottle, man! Upon closer inspection, it became clear the Turcom SeaShell TS-471 Wireless Outdoor Speaker was indeed what I needed. The Turcom Wireless Speaker is your hipster speaker for the active music-lover. It looks cool, but isn’t too trendy. 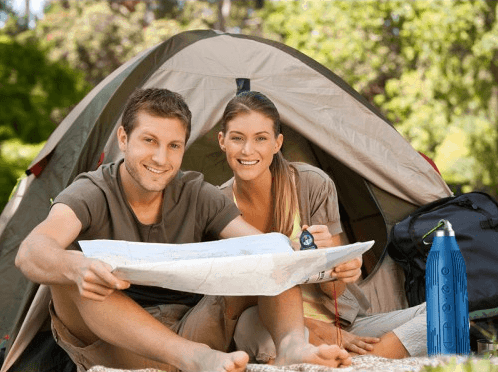 Sturdy and designed to look like a water bottle, it’s perfect for outdoor adventures like camping and mountain biking. 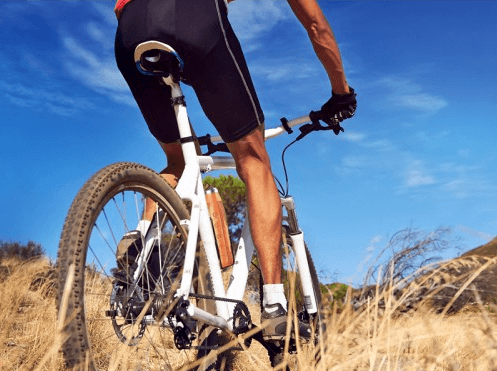 The water bottle design is brilliant because it conveniently fits into your bottle carrier on your bicycle, making mountain bike excursions less of a grind when you’ve got the tunes blaring to motivate you up the pitch. Also, nobody’s gonna steal it. Say you leave the Turcom Wireless Speaker at the beach or on your bike, it’s unlikely any thief would nab what looks like a water bottle. Because I’m snowed under in Calgary and it takes a certain type of person to bike in winter (which I am decidedly not), test driving this bad boy out on two wheels wasn’t an option. But we Canadians are hardy people and we like our gear to be, too, so I took the SeaShell into the great outdoors, a.k.a. my front lawn. The Turcom Wireless Speaker claims to be water resistant, portable and shock-proof. Boy, is she ever. I dropped kicked her, booted her around like a soccer ball, coated her in snow and threw her hard into the icy pavement. She kept ticking away, blaring Wang Chung much to my neighbors dismay. 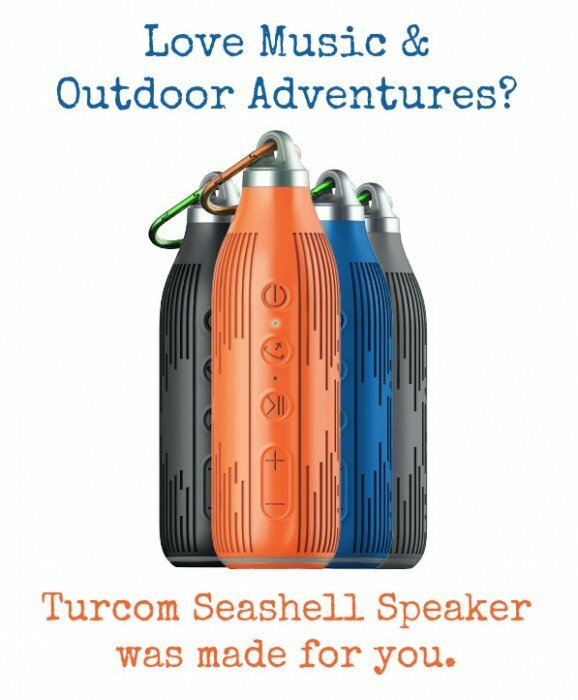 The Turcom Wireless Speaker would be awesome on a camping trip. It’s slim enough to fit nicely into the side pouch of any backpack and it would sure liven up the campfire scene. Since it’s Bluetooth-enabled it’ll play your smart phone tunes (and you can even use it as a speaker phone). It’s got a 50-foot transmission range, which is awesome because you’re not tied to any device. Best was that it was easy enough for me to use. Admittedly I thought it was broken when I first tried it, but then I shook the power cables out of its case and fired her up. It also comes with a rechargeable lithium battery that’s got over 15 hours of playing time which is pretty sweet. And kids will get a kick out of the Transformer-like voice that bellows, “Power on, Bluetooth ready for connection,” every time you fire her up. It’s surprising at first, but then you find yourself. 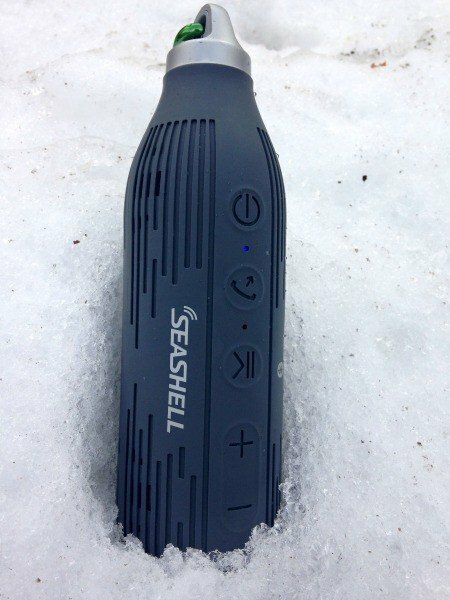 This speaker would make a sweet gift for the outdoor lover in your life. The only downside about the Turcom Wireless Speaker? My husband saw it before I had a chance to test it. Meaning: I couldn’t give it to him for the holidays. But you could. Well, not to my husband, that would be weird, but to your own spouse or friend. It’s definitely a cool product and one that lives up to its billing. Case in point, when my sister popped over for an impromptu Christmas visit this week, I asked her what she thought the SeaShell was. “Duh, it’s a grey water bottle,” she said. When I told her it was actually an outdoor speaker she exclaimed, “No way, that’s so cool!” So I guess I won’t be re-gifting the Turcom Wireless Speaker to her, either. No matter, I’m more than happy to keep it for myself. You can purchase the Turcom SeaShell Wireless Speaker and an array of other cool electronics from UltimoValue.com. A Note from Travel Mamas: Thank you to Ultimo Value for sponsoring this post and providing a speaker for review. All opinions provided by The Saucy Travel Mama are her own, as always. Jody – This speaker looks so cool! 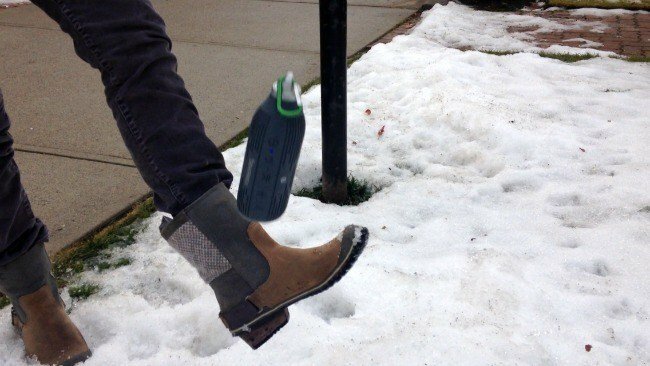 Shh…I have a couple of active, outdoorsy people on my gift list that just may be getting one of these for Christmas! These would be perfect for my boys that seem to break everything they touch! Ha! Then this would be the perfect gift! You had me at water resistant. So cool!